What’s the mantra you hear the most in the writing world? Write What You Know. The more I write, the more I find this is true. Writing what you know is absolutely necessary. Little snippets of conversation you listen to, the aura of where you live, all of these items need to be included in your books. We, as human beings, are shaped tremendously by our environment. I’m reading Ron Rash’s Something Rich and Strange right now. As I’m reading this wonderfully woven short stories of Appalachia, I’m finding in myself more and more the knowledge that I need to write about the South. What an amazing backdrop to be raised in: tumultuous, redneck, Christian, genteel, country, city, beautiful, history being lived over and over again. There aren’t enough words to describe Alabama in all its glory. It’s a place constantly misunderstood and ostracized–all the people thought to be back woods. But they’re not. There are writers and artists, scientists and doctors, living in these backwoods. And there is pain and history and love and hope. My stories have slowly started to take on a southern feeling. Not all of them, since I still can’t pick a genre, but a lot of them have. It’s even showing up in my Flash Fiction. The Southern characters, as different from each other as anyone who lives here. I think that’s what makes Ron Rash’s short stories so beautiful. He’s a poet who can describe the people and the place where he lives as no one else can, because he’s been there and he’s seen it with his own two eyes. The South is part of me–it runs in my blood, and so it must run through my fingertips on to my computer screen as well. It’s Spring Break here, and I took a whole week off (I haven’t been getting much editing done either, unfortunately). The family and I have been driving all over ‘Bama soaking up history. 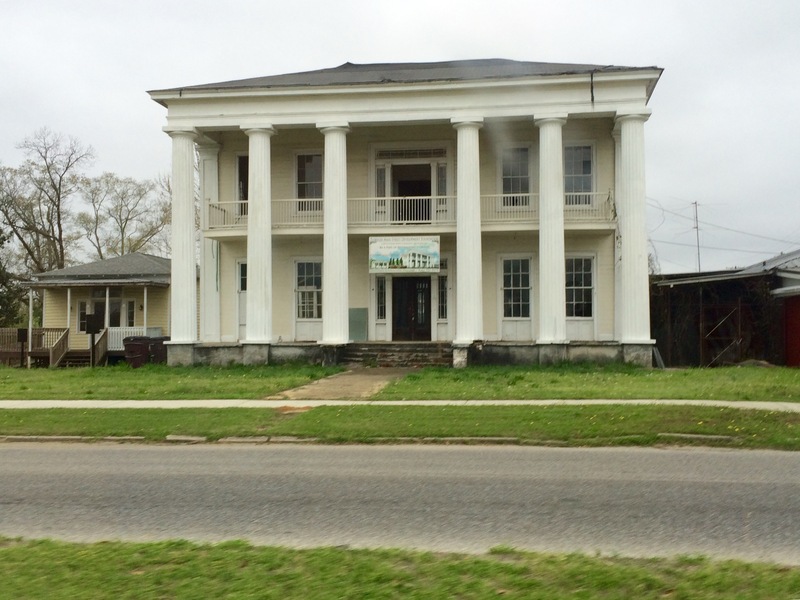 We saw this beautiful house in Tuskegee. They are looking for donations for restoration. When I saw this house, I knew it was it. This was the house I’d imagined William Hill living in. Who’s William Hill? He’s the character of “The Devil Within,” my book coming out in early May. He’s nine years old when he loses his mother and siblings in a car accident, and he’s left in the hands of his overly religious father who doesn’t know how to cope with the boy. Stay tuned for more teasers, including a photo of a southern landmark that will be included in the book.